A boiler is a closed vessel where water under pressure is transformed into steam by the application of heat. This process is useful for a variety of industries, from industrial and manufacturing environments to food and beverage processing. In the boiler furnace, the chemical energy in the fuel is converted into heat. The function of the boiler is to efficiently transfer this heat to the contained water. As the water boils, its volume increases about 1,600 times, producing a force that is almost as explosive as gunpowder. Therefore, boiler equipment is dangerous and must be treated with care. Scale is one of the most common deposit-related problems. Scale is the buildup of solid material from the reactions between the impurities in water and tube metal on the tube surface. Scale acts as an insulator that reduces heat transfer, causing a decrease in boiler efficiency and excessive fuel consumption. More serious effects are overheating of tubes and potential tube failure. Wasted fuel due to scale may be approximately 2-5 percent depending on the thickness of the scale. Salts that have limited solubility in the boiler water form scale. When concentrated by evaporation, these salts reach the deposit site in a soluble form and precipitate. Sludge refers to the accumulation of solids that precipitate in the bulk boiler water or enter the boiler as suspended solids. The inside of a boiler is subject to the most common cause of corrosion: oxygen. 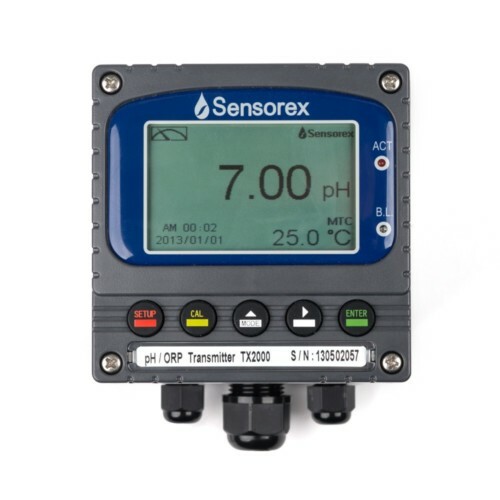 Dissolved oxygen in feed water can become very aggressive when heated and reacts with the boiler’s internal surface to form corrosive components. The presence of oxygen promotes the formation of Hematite or Red Iron Oxide, which is non-protective. Oxygen corrosion takes the form of localized deep pitting and can quickly lead to tube failure. Oxygen attack can cause further damage to steam drums, mud drums, boiler headers, and condensate piping. Another common cause of corrosion is acid. Acid attack occurs when the pH of feed water drops below 8.5. The carbonate alkalinity in the water is converted into carbon dioxide gas (CO2) by the heat and pressure of the boilers. CO2 is carried over within the steam. When the steam condenses, CO2 dissolves into water to form carbonic acid (H2CO3) and reduces the pH of the condensate returning to the boilers. Acid attack may also damage condensate return piping throughout the facility. Boiler water carryover is a contamination of steam with boiler water solids. High concentrations of soluble or insoluble solids in boiler water can help stabilize and strengthen the bubbles’ surface in boiler water, giving rise to foaming. Generated steam can carry the foams into this process. Substances such as oil, alkali, greases, organic matter and suspended solids are known to cause foaming. A sudden surge of boiler water caused by a rapid change in load causes priming. Priming can cause boiler water carryover by allowing small droplets of water to be released into the steam space. Such carrying over causes contamination in the many processes for which steam is used. 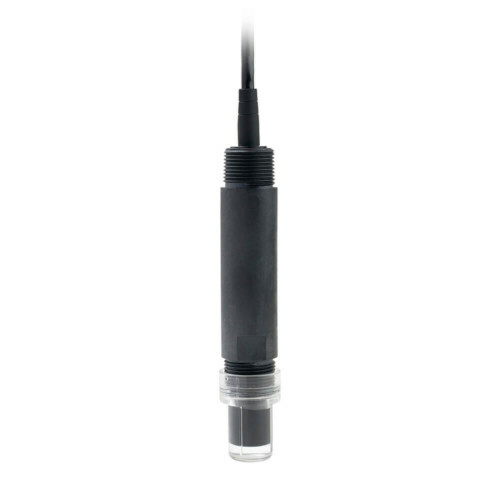 The most important parameters to control in boiler applications are conductivity and pH. These are measured in different streams from boiler feed water to boiler water to condensate return. pH plays a vital role in boiler water control. A slightly alkaline pH must be maintained to prevent corrosion. The alkalinity helps maintain a passivation layer, which protects the boiler from corrosion. 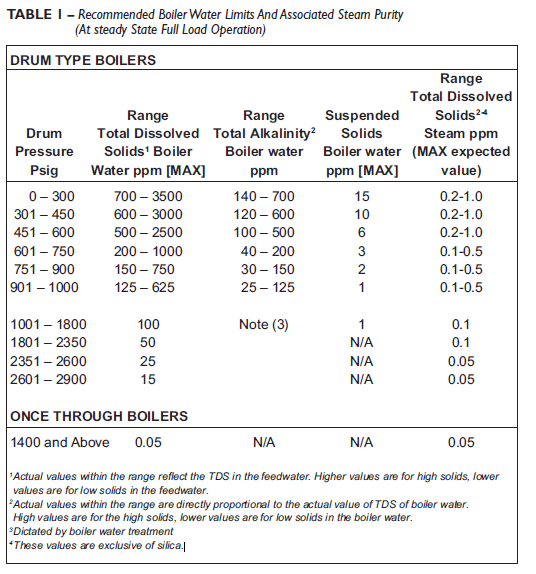 The typical pH levels maintained in different parts of the boiler are included in the table below. Conductivity is also a key parameter for boiler control, as it directly relates to energy savings. Lack of conductivity control leads to operational problems like scaling inside the boiler, necessitating increased fuel consumption. Conductivity control is important for minimizing the mineral level in the boiler by replacing process water with fresh water. This removal of water is referred to as blowdown. While blowdown is an important process, excessive blowdown should be prevented to avoid wasting water and energy. 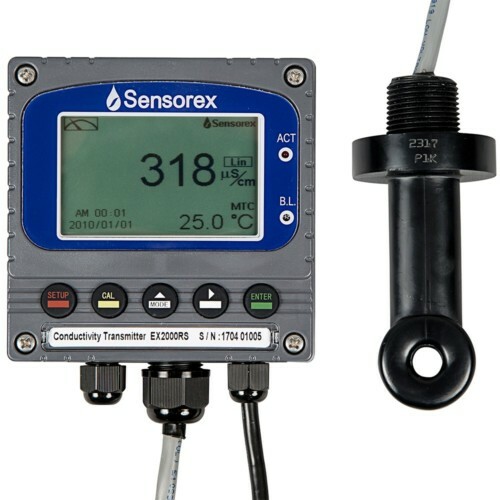 Conductivity monitoring also helps improve condensate recovery. Condensate is typically the purest water in boiler system, but without proper boiler control, it may become contaminated. Maintaining high condensate purity is key to optimizing boiler operation costs, as only pure condensate by be recovered. One more area where conductivity should be considered is the boiler feed water, which can affect the cycles of concentration of the boiler. 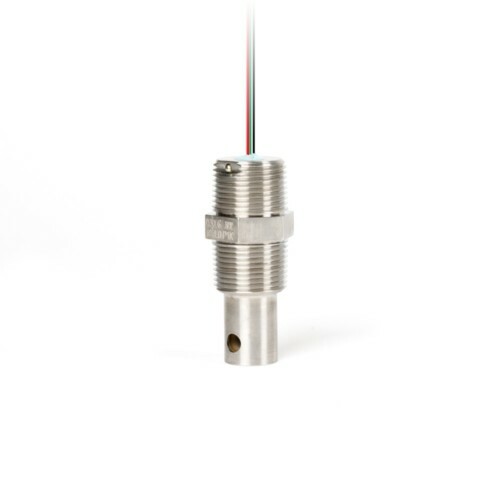 Toroidal conductivity sensors and instruments should be used in boiler water control since these sensors are highly resistant to fouling. 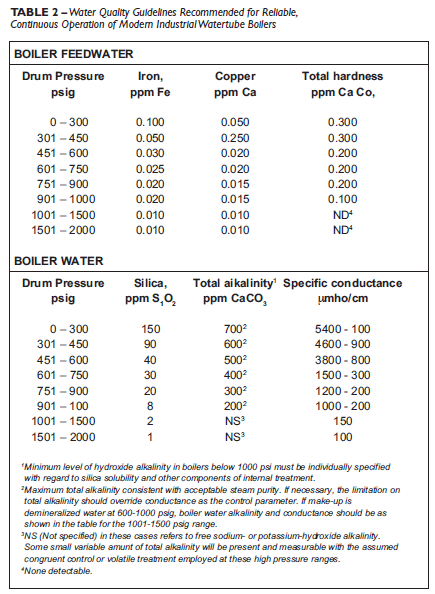 To ensure acceptable steam purity, the American Boiler Manufacturers Association (ABMA) specifies boiler water composition limits by operating pressure (Table 1). 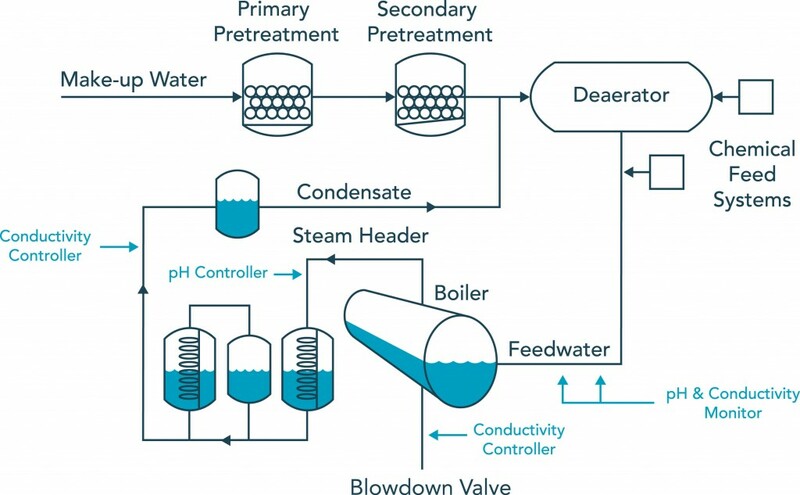 As operating pressures increase, requirements for boiler water composition become more stringent. Water tube boilers experience heat flux rates as high as 250,000 Btu/hour/ft2. This heat flux rate is far greater than boilers typically experienced when the ABMA limits were established. Combined with dimensional restrictions on modern units, this has raised the need for new guidelines to replace the outdated ABMA limits. Table 2 from the ASME Research Committee on Water in Thermal Power Systems reflects the need for feed water to be extremely pure. These new guidelines will continue to be refined.